Building a successful online brand takes time, dedication and – usually – money. When cultivating an audience and following within a niche, subtle improvements can be expected in search engine rankings, social media reach and other important areas. As more content and offerings crop up on a website, more and more people find interest in its offerings. Unfortunately, e-commerce websites face some natural disadvantages when it comes to search engine optimization. Overcoming these hurdles is crucial for organic success in targeted niches – we’ll talk today about which problem areas to consider and correct. Let’s face it: there’s only so much you can naturally say about any given product. For many e-commerce sites pinging to Google their offerings, a short product description, specifications and a list of benefits may seem like all that naturally fit on a product page. This can put e-commerce brands at a disadvantage in SEO due to the naturally empty nature of each page. In order to overcome this, brands need to focus on including as many relevant elements on each page as possible. Some examples include testimonials and reviews, photos of the product in action and product demonstration videos. When each product page merely features a couple of hundred words, it can be hard to break into the first page of search results – but this can be accomplished with a bit of work. Most product pages on e-commerce websites focus on targeting specific keywords related to the brand and product. While this is a good strategy overall, it may not provide results without some additional considerations. First of all, unless your product is ubiquitous in the eyes of consumers, how are people going to know to search for it? Brand associations and connections with broader niches are essential for better SEO performance, which means that you should also be targeting generic keywords relevant for your product. Without this focus, it will be very difficult for your products to gain enough exposure to reach larger audiences. 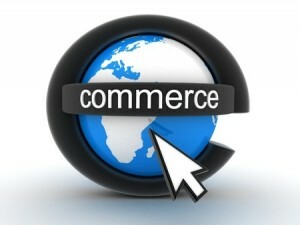 When e-commerce websites grow, there is a need for big changes. Ultimately, these sites age just like any other site, requiring updates and redesigns to be implemented. Whether you’re moving toward a more secure website infrastructure or simply updating aesthetics for the times, this can be an absolute nightmare for SEO. Most commonly, e-commerce sites suffer during redesigns due to changes in URL structure, missing pages and a variety of errors that occur due to directory changes and broken links. Because e-commerce sites are pinging to Google hundreds or even thousands of pages instead of dozens, the work required to rectify any issues experienced during redesign can be a nightmare. This can cause organic traffic to plummet virtually overnight and wreak havoc on your bottom line. SEO takes time and patience to grow properly, but some websites face bigger hurdles than others. When selling products and services online as your primary focus, SEO can be more difficult to manage. This is due to product pages naturally being thinner, changes to website design potentially impacting a larger number of pages and keyword optimization that tends to focus on specifics rather than generics. If you can overcome these challenges – which you can – growing your SEO presence in any niche is possible, but it takes an understanding of these issues to succeed. Recent Changes to Google Authorship – What is Going On? Gun to Your Head – Link Building or Content Marketing?